If you are using a tablet or a smart phone please download the app called Patient access form your google or apple app store. NOTE * Your details must be an exact match to those we have on our practice system and unique to you including your mobile telephone number and email address. If your details are not up-to-date on our system then please inform us first. The practice has the right to deny or remove online access to services for anyone that doesn’t use them responsibly. Please read this carefully before you register. A computer, laptop, tablet or smart phone. PA allows you to manage your appointments, prescriptions and health matters easily and at your convenience from wherever you are. All information is secure. Your personal details are encrypted and protected using the highest standard internet security, so it cannot be intercepted. Only you and the surgery are able to see this information. This is very helpful for patients who have busy lives and can not always telephone at 8am to make an appointment or pop into the surgery to order repeat medication. View all documents including hospital letters etc. A Doctor must grant access for you to have LEVEL 2 but if for any reason the GP refuses to grant you permission to view any areas, a full explanation will be given or the GP might insist on an appointment to discuss this with you before Level 2 is granted. Level 2 is very helpful for patients who want to take an active role in looking after and monitoring a long term illness or chronic disease. It will be your responsibility to keep your login details and password safe and secure. It is up to you whether or not you allow someone else maybe a relative or carer to have access to your log in details and medical records. But it is ultimately your responsibility to keep the information safe and secure. If you print out any information from your record, it is also your responsibility to keep this secure. If you are at all worried about keeping printed copies safe, we recommend that you do not make copies at all. If you think you may be pressured into revealing any details from your medical record against your will, it is best you do not register for this online service at this time. The practice has the right to remove online access to services for anyone that doesn’t use them responsibly. If this happens you will be given a full explanation. Remember your account is for your use only you cannot make appointments for anyone else. Appointments are available at reception for members of the nursing team. A wide range of services are offered as you will see from the list below. As different services may require differing amounts of time, it helps if you are prepared to advise reception of the purpose of your appointment. There is, however, no compulsion to do this, and your confidentiality will be respected at all times. All of the above are dealt with in our CDM clinics. If you have diabetes plus any other chronic disease these will be managed in your 6 monthly reviews in the diabetic clinics. 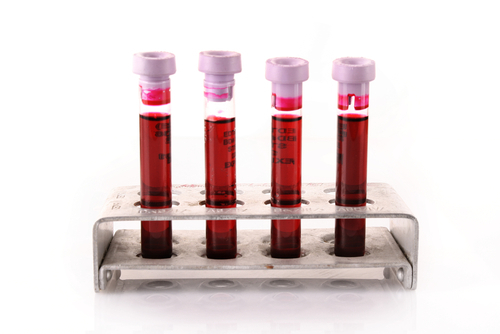 We offer a phlebotomy service (blood clinic) on Monday, Wednesday and Friday morning by appointment only. The health visitors are part of the community health services and are all qualified nurses with special training and experience in child health. They are in contact with the GP's and come into surgery regularly. Their direct telephone number is 01772 644114. The surgery has a skilled team of community midwives. Clinics are held each week offering antenatal care. Post natal care is also available in surgery. 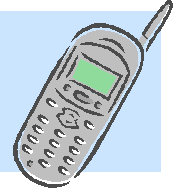 Our receptionists are extremely busy first thing in a morning making appointments so if you are ringing for a test result please telephone between 11:00 and 15:30 by contacting the main surgery number. If we have your mobile number you may receive normal test results by text. If you are registered for our on-line Service Level 2 you can view your test results from home. If your test is abnormal the GP will instruct the receptionist to ring you or send a letter to inform you of what to do next. For reasons of confidentiality please ring in person for test results. Receptionists are not medically trained so they may only tell you if a result is normal or that you need to make an appointment to see a doctor. Some results can take five or more days to come back and you will be advised when to call when your test is taken. In May 2018 we introduced a non-clinical team to help support patients and their families who are facing a recent chronic diagnosis. This could be cancer, dementia, or any other serious incapacitating disease. If you have had a recent life changing diagnosis we will send you a letter to introduce ourselves, including photographs, so that you know who we are. We will follow up the letter with a telephone call shortly after to see if there is anything you need or anything we can help you, your carers or family with. You can ring us direct to order your medication, make appointments, listen to any problems/concerns you may have. We can provide you with information about services that may help and sort out things quickly on your behalf. If we do not know the answer to your questions we will find someone who does. Our clinical Lead is Jenny Williams, ANP, who is always here to advise us. If you do not feel like talking you can always simply email us with any queries or problems. We promise to always listen and take the time to help you in any way we can. 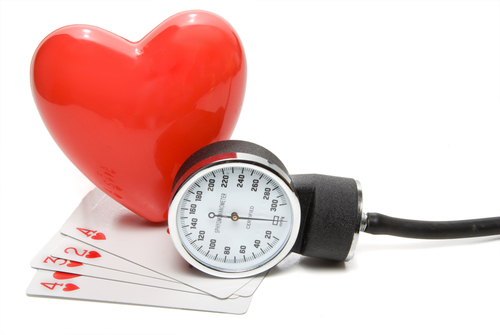 The NHS has compiled a library of health apps that can be downloaded free of charge. All the apps have been reviewed by the NHS to prove they are clinically safe and have been rated by the public. 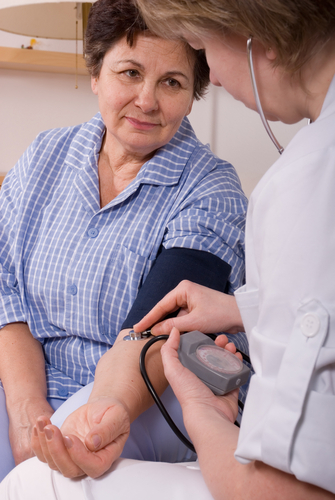 The doctors are happy to carry out medical examinations for insurance and other purposes. They will also fill out certain forms. The NHS does not cover these services so a charge will be made; See current charges. Please note - we require up to 5 working days for completion of forms. The following links will take you to related sites for more information on the National Screening Programmes that are available. 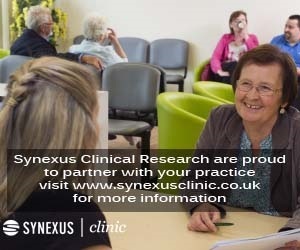 If you would like to register your interest in one of the Synexus studies. If you do not want to be contacted by Synexus please let the surgery know so that we can update your records and stop any letters being sent to you.